Stating that India’s agro-food sector is at a critical juncture, facing multiple challenges, a new OECD-ICRIER report suggested to the government to launch new bold policy initiatives and accelerate existing reforms to achieve higher agriculture growth and ensure better income to farmers. The report ‘Agriculture Policies in India’ pointed out that the gross farm revenue declined 6 per cent annually between 2014 and 2016 period because of low market prices even as farmers got large subsidies for various inputs like fertilisers, power and irrigation. 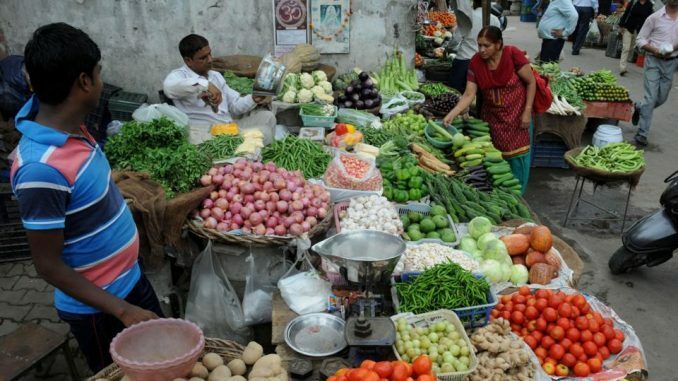 “Farmers in India face complex domestic market regulations and import and export trade restrictions, which together often lead to producer prices that are below comparable international market levels,” the Organisation for Economic Co-operation and Development (OECD) and the Indian Council for Research on International Economic Relations (ICRIER) said. Recommending series of reforms, the report said the government should not resort to export curbs for creating stable and predictable market environment. The government should reduce tariffs and other restrictions on imports, it said, adding that even food subsidies should be either targeted lump sum transfers (DBT) or a food stamp type of mechanism. Pitching for reform in market regulations and strengthening of market functioning across states, the report asked the government to build on and reinforce initiatives already underway like electronic National Agri Market. OECD and ICRIER suggested that the input subsidies provided through the budget should be freezed and then gradually withdrawn. This fund should rather be used for providing general services like infrastructure and innovation in the sector. They suggested to the government to encourage private sector in the domestic agri-market regulations. “I think now that the report is complete we need to have a robust discussion around that and to understand the underlying data, the basis for conclusion, some of the wider issues which actually affect national agricultural policies as well and to see what perhaps would be the best the best way forward for India,” she added. The gross farm revenue was negative because the market price support remained minus 13.1 per cent, while the budgetary spending was 6.9 per cent of gross farm receipts, it added. The OECD-ICRIER report highlighted the progress made by the country’s agricultural sector over the past two decades and the important challenges now confronting the sector that include prevalence of very large numbers of smallholders, low productivity, climate change, pressure on natural resourcesNSE 0.00 %, persistent food insecurity and an under-developed food processing and retail sector.